IBPS Recruitment 2018– Institute of Banking Personnel Selection advertises online application form for the recruitment of Specialist Officer (CRP SPL-VIII) Vacancies. 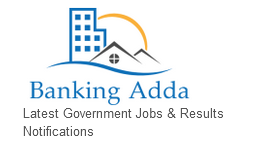 Those Candidates who are interested in the vacancy details & completed all eligibility criteria can read the Notification & Apply Online by visiting the link given below on Banking Adda & through IBPS Login. Candidates are advised to check the notification carefully before applying for government job vacancy at IBPS.in by visiting ssc adda. Note:-The number of given vacancies are including all categories. For Category wise freejobs you can check the official notification. The no of vacancies is tentative & maybe changed at any stage by Service Headquarter. Minimum age is 20 Years & Maximum age is 30 Years as on 01 November 2018. For Category wise Age relaxation please check the official notification of IBPS. Interested candidates applying for can download the previous year’s Question Paper in the PDF Format from here. Go through the question Papers or Model test Papers for the Recruitment & answer the questions. Click on the below links to download sample question papers from the official website IBPS.in & check your IBPS result.